EWG scientists reviewed Carina Organics Peppermint Shampoo & Body Wash for safety according to the methodology outlined in our Skin Deep Cosmetics Database. We assess the ingredients listed on the labels of personal care products based on data in toxicity and regulatory databases, government and health agency assessments and the open scientific literature. 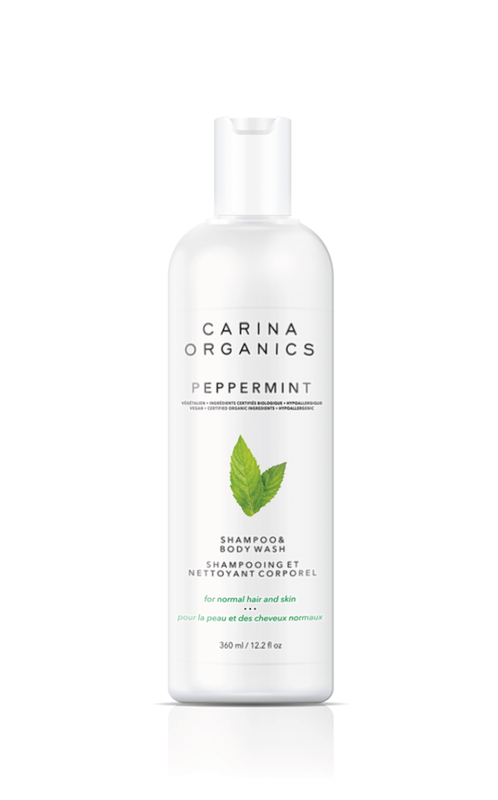 EWG's rating for Carina Organics Peppermint Shampoo & Body Wash is 1. Filtered Aqua, Potassium Cocoate (saponified Cocos nucifera / Coconut oil), Glycerin (vegetable), Pinus banksiana (pine) extract, Olea europaea (olive) fruit oil, Mentha piperita (peppermint) leaf oil, Matricaria chamomilla (chamomile) flower extract, Urtica dioca (nettle) leaf extract, Taraxacum officinale (dandelion) leaf extract, Trifolium pratense (clover) flower extract, Acetic Acid (Apple Cider Vinegar), Linum Usitatissimum (linseed) seed oil, Cucurbita pepo (pumpkin) seed oil, Helianthus annuus (sunflower) seed oil, Persea gratissima (avocado) oil.